I am not sure if I should laugh, cry, or be terribly insulted. Seriously? Just for me? Like in ‘everybody else gets to dress decently but we are going to have a laugh about you’? After googling doing some serious research on the topic, I realised that Kate Moss, Gwen Stefani and Stella McCartney recently have all been spotted in the above attire. I also realised that they all looked completely hideous in it. Boiler suits should be reserved for people who have to protect their Sunday bests from, let’s say alien slime. 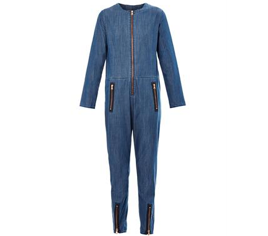 Boiler suits might also be worn by people who wear diapers. But that’s where the story ends. Ahhhh, the benefits of getting older and basically not giving a toss about what someone else declared as your personal must-have. Oh my! I am not sure that outfit should leave the factory. You have the body for it, but it isn’t very attractive. Thanks for sharing. haha! It looks like something Hannibal Lecter might wear. I really do not get the point of either those, or onesies. You made me laugh out loud here (sat in the sofa with a immunisation- feverish baby and two hungry older boys who had to wait longer for dinner due to crying feverish baby;)). Oh no! Boiler suits are for dirtly work. 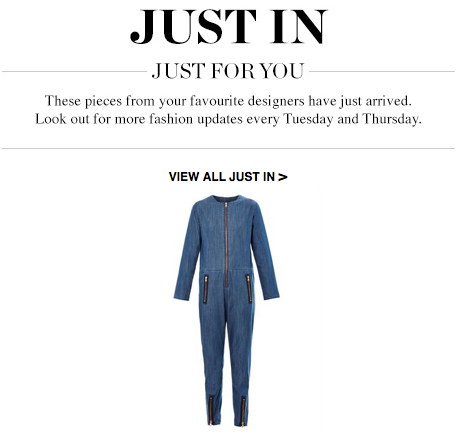 Just like those onesies (which my 5yr old daughter received as a Christmas gift and refuses to wear!) should only be worn by little babies! Come back Star Trek, all is forgiven. Oh my god. When this popped through in my feed I hoped against hope that you were going to have a laugh about it and not be actually recommending it…. LOL!